Blerter helps you centralize your communication, operations, and safety processes from one single location. Improve your ability to communicate the right message to the right people in real-time with targeted messages, event run-sheets, incidence & hazard reporting, and geo-location tags to know where your event crew is at all times. Blerter was created to give event operators a peace of mind while planning and executing an event. 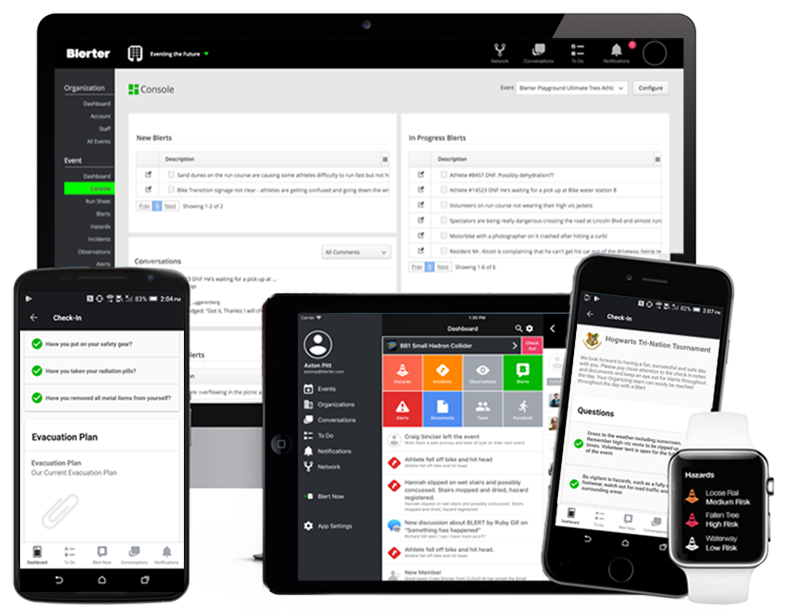 Blerter helps reduce risk, combat slow response times, and creates well-prepared incident response procedures allowing you to create the best event experience possible. Get hold of the key to a better event experience. With Blerter, your whole event workforce is connected. And your ops team can run events efficiently through a single, comprehensive platform. A powerful tool to have at your fingertips. Are you ready to take your event to the next level? Prove it.